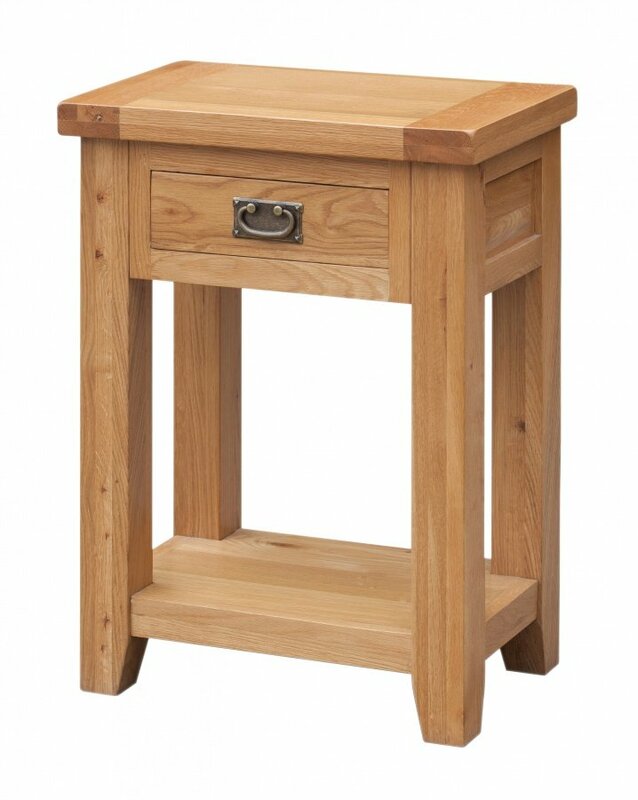 This beautiful Acord Solid Oak Table is perfect for any home. With thick legs to ensure stability and adding to a rustic wooden look. Table is fitted with one spacious drawer suitable for any filing, stationery or anything else you like. The table�s small size makes it fit perfectly in any Hallway or as an extra surface in the Living Room or Bedroom. Also available in a larger size with two drawers for a larger space.